I had hoped to get to skip this post, but time is marching on faster than I'm progressing on an "emergency" home repair project that I'm working on, when not working long hours for a salary. As some folks have also enquired as to what I'm up to, I thought I at least owed regular visitors an explanation. It is a pretty boring story, but I'm getting to the end of the project. I also had no idea how many people came here until the e-mail questions started coming in. Thanks! Jan 30 2012: The "Guard Shack". 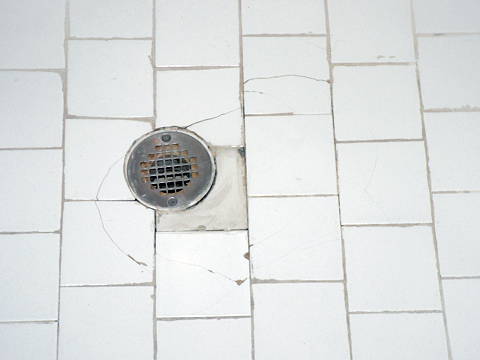 Tile cracked and when you stood on the drain, you feel the plumbing flex underfoot. Not good. Ah. the problem. 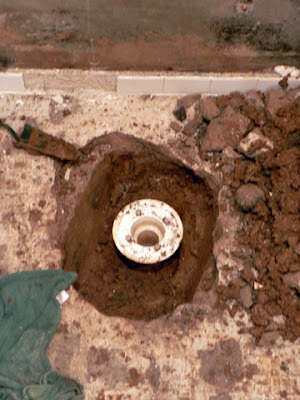 Besides using "green board" where cement "backer board" should have been, not filling in the foundation hole for the plumbing with 'sand mix' [but using dirt (mud), rocks, and broken tile instead], not pre-sloping the pan, not using a waterproof membrane between the pre-slope and final bed (and skipped the final 'bed' step all together), it was a perfect tile job! The only thing keeping our feet from going through the floor was about 1 1/2" of 'sand mix' completely unsupported underneath. It took an entire bag of mix to fill the hole. I ended up taking out all the tile and treating for mold, put in cement backer board where it need to be, used the 'fixed' bed as the preslope to raise the floor with another drain about 2". Why do it myself? 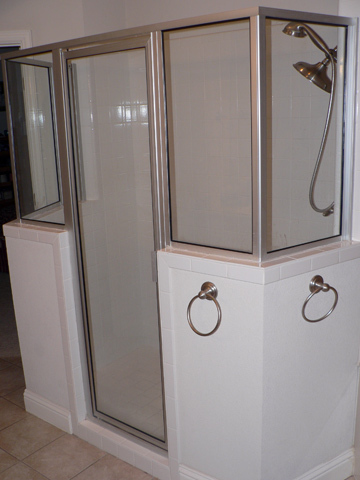 I've tiled a little in the past, and from talking to others who've recently paid to have their showers redone, I figure I am saving about $5-$6K doing it myself. And I know that while it won't look quite as nice as a 'pro', I at least know it was done RIGHT. Whats left? 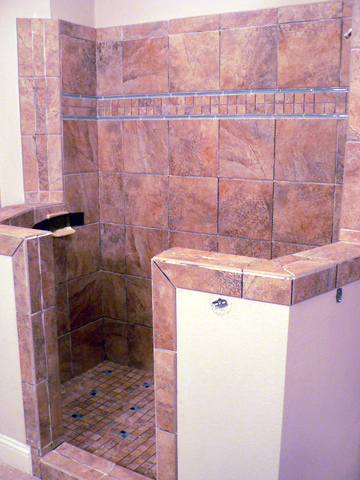 Grout and putting back the glass (which was also improperly installed by the way).